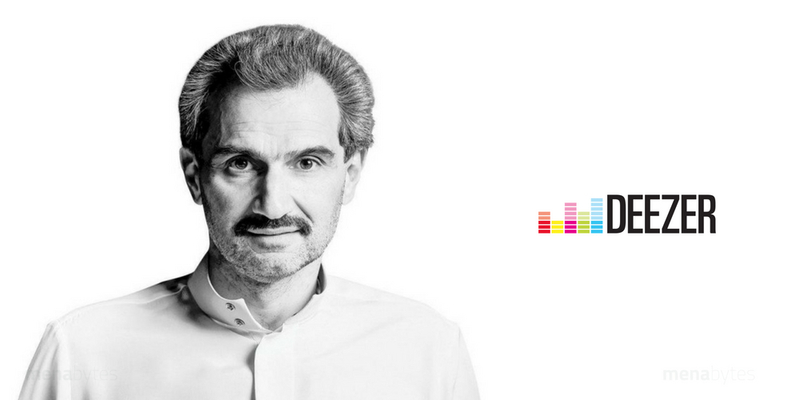 Saudi billionaire Alwaleed bin Talal has invested $266.7 million (1 billion Saudi Riyal) in the French music streaming service Deezer that competes with the likes of Spotify and Apple Music. The investment has been made through Alwaleed’s Kingdom Holding & Rotana Group, the largest entertainment company of Arab world that owns film production company, television channels, and the largest record label of the region. It appears that the Saudi prince has acquired stake by participating in Deezer’s latest $185 million financing round that has valued the company at $1.16 billion and by buying secondary shares. With the investment, Rotana Group has also entered a strategic partnership with Deezer that will allow the music streaming company to handle distribution of Rotana’s audio and video content across Middle East & North Africa, which includes some growing entertainment markets like Egypt, Lebanon, Morocco, Algeria, Tunisia, Turkey, Saudi & UAE. Rotana CEO Salem Al Hindi, speaking about the strategic partnership, said that the two companies would help expand the reach of their unique Arabic music offering by delivering high-quality streams to a global listening audience. Hans-Holger Albrecht, Deezer’s CEO, added that the new distribution agreement between his company and Rotana would provide a unique opportunity for expanding the streaming company’s market presence. Founded in 2007, Deezer is now available in 180 countries with over 15 million active users who have access to over 53 million music tracks. Rotana’s competitor MBC is among the investors of Anghami that is often dubbed as Spotify of the Arab World and has raised over $40 million in funding since it was founded in 2011. According to Anghami’s website, they have over 60 million users with some estimates suggesting 5 million of those as monthly active listeners. Earlier this year, we had reported that Spotify is also preparing to expand its presence into MENA. With all these developments, it would be very interesting to see how this space takes shape in one year from now.